What Should Cardinal Dolan Pray For? 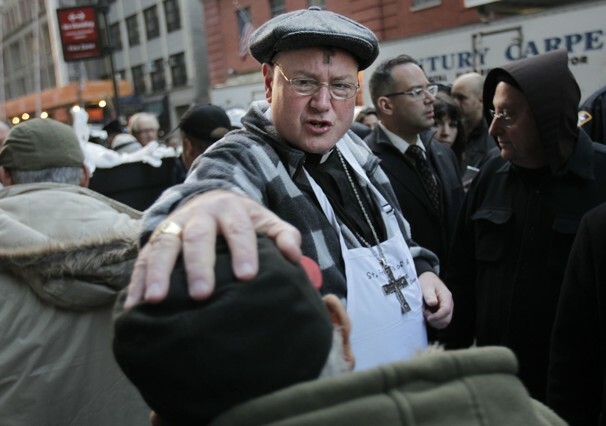 Tomorrow night, New York’s Timothy Cardinal Dolan will offer the closing benediction for the Republican Party’s 2012 convention. When it was announced last week that he would do so, there was much concern among both the politically and religiously minded that, at a minimum, this would appear to be a quasi-endorsement of the Romney-Ryan ticket in the upcoming election by the most prominent Catholic bishop in the US. Yesterday, to the relief of many, it was announced that Cardinal Dolan would also offer the closing prayer at the Democratic Party’s convention. The situation is apparently balanced now, although Cardinal Dolan did skip the Constitution Party’s convention (April), the Libertarian Party’s convention (May), and the Green Party’s convention (July) (presumably he was not invited to any of those). Archdiocesan spokesperson Joseph Zwilling was quoted as saying “Cardinal Dolan is going to pray, not to engage in partisan politics.” That certainly sounds good, although I was kind of hoping that the quote would continue with something like “He is going to give witness to the central teachings of the Christian faith.” As Julia Smucker wrote yesterday, “This is inevitably the case because CST [Catholic Social Teaching] does not, nor was it ever meant to, fit the political binary that prevails in the United States.” Cardinal Dolan now has the opportunity to pray with, and perhaps especially for, the two embodiments of this binary. Charlie Camosy says this could even be Cardinal Dolan’s “Mahoney-like opportunity.” Given this extraordinary opportunity to speak to both parties, and more broadly to all of us, what sorts of things might he pray for? These are only a few thoughts about what might be a meaningful witness to the faith that avoids partisanship. I’ll be curious to see Cardinal Dolan’s words at both the Republican and Democratic conventions (particularly in how they might differ). For now, I wonder, What else might the Cardinal pray for? I agree with your points. I wonder if he might also pray that political parties stop using religious groups for political gain and that groups within religious communities stop confusing political platforms with religious beliefs. We should all as Church pray and work for civility, honesty, respect, human dignity and the promotion of justice (not an easy task)!